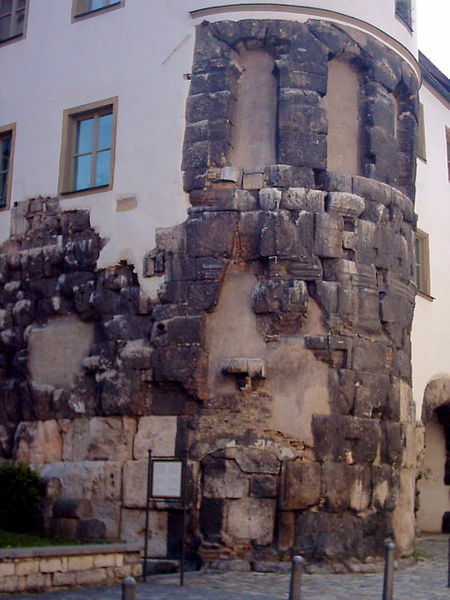 Situated by the banks of the river Salzach (salt river) the area has been populated since the 5th century BC. It was named Juvavum and awarded the status of municipium in 45 AD. Both the modern names of the town and river highlight the importance of salt, its mining and transportation in the region throughout its history. If you look around, you will find lots of smaller rivers, brooks and towns that have some reference to salt in their names. Ober- and Untersulzbach are obvious examples, but any other name containing salz-, sulz- or -soden as well. 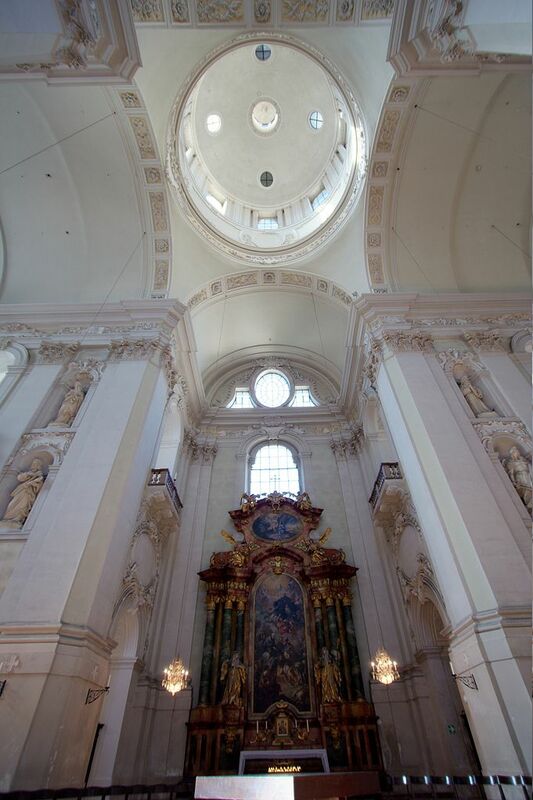 Salt created the wealth in and around Salzburg which can be seen best in its Baroque and Rococo architecture, as for example the inside of the Kollegien- or Universitätskirche and the Leopoldskron Castle. Salzburg is not only the home of world famous musicians, Mozart and Haydn, but also another UNESCO World Heritage site you’ll get to see on our tours: the Old City, with the Hohensalzburg fortress at its heart. During your guided tour you may recognize one or the other sight from the movie “The Sound Of Music’ with Julie Andrews, as well as from a more recent movie ‘Knight and Day’. 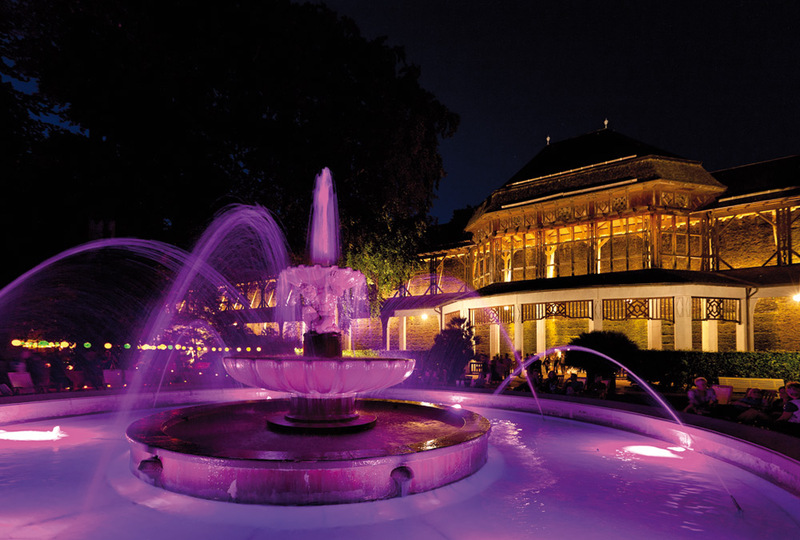 Another heritage site to enjoy will be the Mirabell Palace, with its geometrically arranged gardens and mythology-themed statues. After having discovered Salzburg from ground level on your guided walk on your Southern Delights tour, you should walk up the Kapuzinerberg and enjoy the spectacular views over the city. 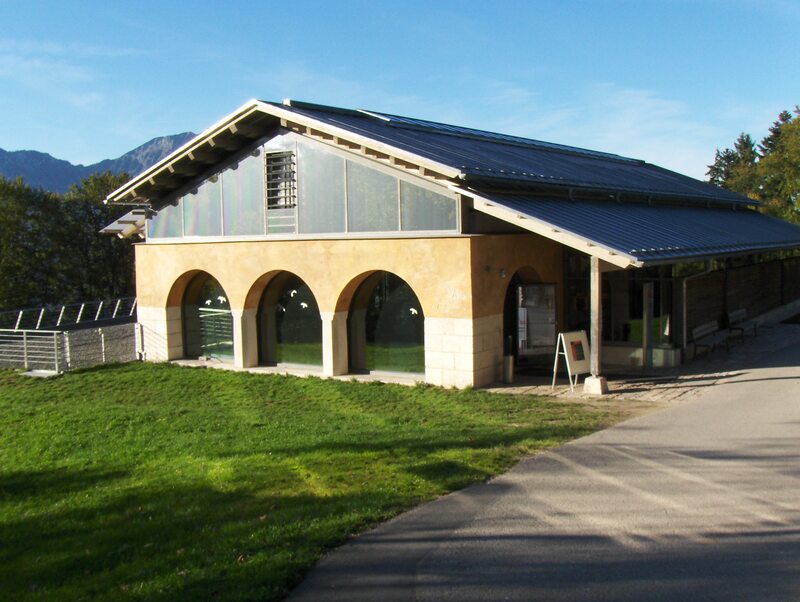 Bad Reichenhall is an interesting example of a town adapting to economic changes to survive. Since the earliest Bronce Age settlements, salt and all other involved production and manufacturing processes have determined the look and feel of the city. As salt was a precious commodity then, salt mine owners and processors were rich and influential people. For a very long time the local salt mine owners in Hall maintained a monopoly position in the European salt market. The economic rise continued until the end of the 12th century, when in 1197 the city was almost eradicated by order of the bishop of Salzburg. As the name indicates, Salz = salt, Salzburg was a rival in this profitable business. With the virtual destruction of Hall, the salt mines in Berchtesgaden and Hallein (little Hall) gained more importance in the market. 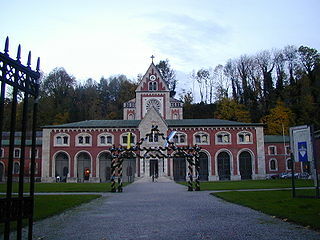 In order to distance themselves from Hallein, the city changed its name to Reichenhall (rich Hall) in the 13th century. The conflict over the salt market took on war like features which, together with bad market management and strategies, caused a decline of the industry. By the end of the 15th century the Bavarian duke bought all mines and production places, modernized them and created a state-owned monopoly for salt production. The industrial character of the city continued to dominate the landscape and the city had to be rebuilt several times, due to fires caused by production processes getting out of control. This didn’t change until 1834, when nearly ¾ of the city were burned down and rebuilding began under different architectural aspects. The Industrial Revolution of the time, the cause of different kind of hardships for people, created a wish for more harmonious, romantic environments. The new buildings articulated this, as well as indicating the city’s move away from industrial hot spot to physical and mental care giving: in the 1840’s a private initiative started the Curhaus Achselmannstein, which soon turned the city into a gentrified meeting place for the continental high society. The private houses, bath houses and pavilions of the time are testament to the emerging arts-and-craft movement. In 1890 it was given the title of ‘Bad’ by royal decree and has maintained it ever since. If you should run into a spot of bad weather during this part of your Southern Delights tour, these little gems will be just the ticket to make you forget about it! Klamm is the German word for a very narrow ravine which is made by stream cutting erosion. This particular ravine was formed by the wild stream Wimbach (-bach being another word for stream) cutting through a variety of limestone types ( red limestone, fibrous calcite, radiolarian rock). 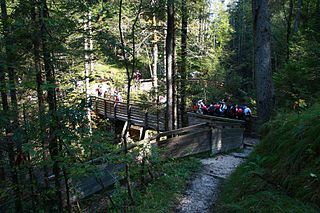 Your walk will take you through the gorge, along the river and up to the Wimbachgries hut, surrounded by the Watzmann, Grossem Hundstod and the Hochkalter mountains. On your walk you will pass sediments that had been laid down up to 50 million years ago and you might even find fossils relating to the time when the sea covered this whole area. If the weather co-operates you will get to enjoy these spectacular sights on your Southern Delights tour and partake in a traditional mountain lunch or afternoon tea at the hut. Even though the name implies Royalty having had an interested in this lake, it is more likely to have originated from the first name of local nobles: Kuno. 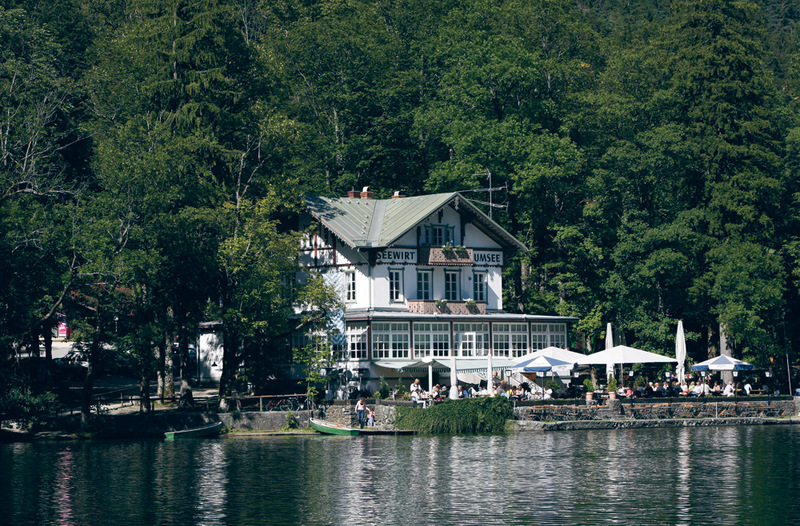 There have been no Bavarian kings until the 19th century and the lake had already been known since the 12th century as Kunigsee. But the implication adds to its romantic charm and certainly underlines the majestic beauty this particular lake has. As the lake is only accessible from one point, travelling on it and exploring it has always been by boat. It is known for its pristine clear waters and to preserve this only electric powered boats have been allowed since 1906. 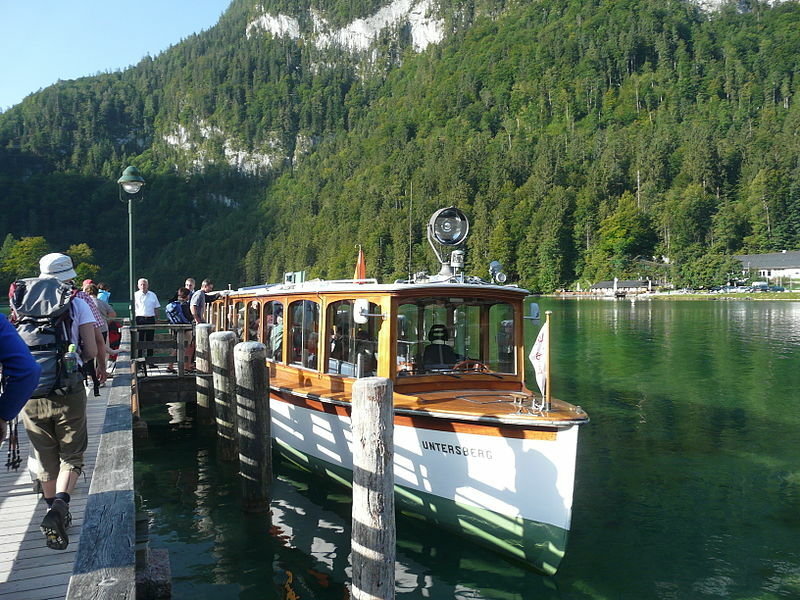 These boats service the various small settlements and will take you the full length of the lake to the famous pilgrimage church of St. Bartholomew. 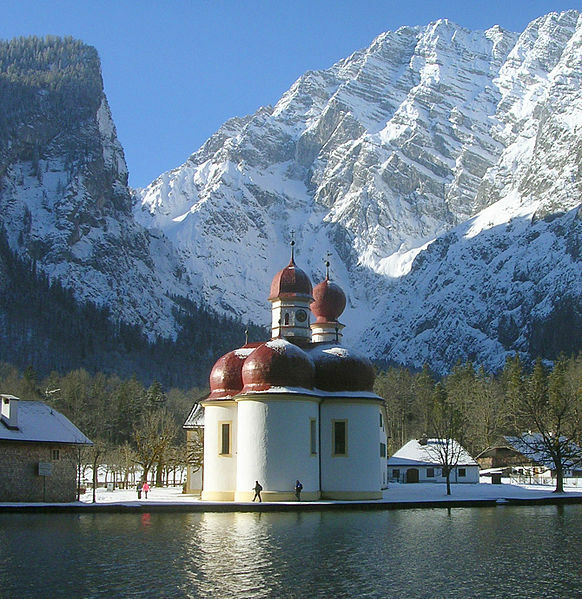 The Church, in the shape of the Berchtesgaden Provostry, has played an important role in the region’s economic and political dealings since the 12th century, when the wealth of the salt deposits was exploited and its location gave it unique protection from invaders. This ended in 1802/3, when the Provostry and its territories were secularised and eventually became part of the Kingdom of Bavaria in 1810. At St. Bartholomews you can cross the Salet moraine to view another smaller lake, Obersee, with the highest waterfall in Germany, the Röthbach waterfall. 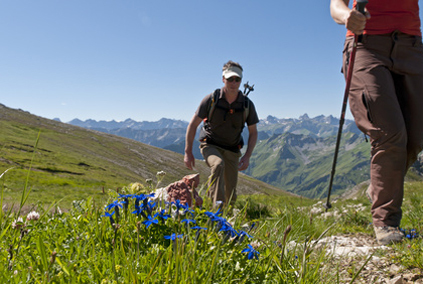 A moderate walk will take you into the majestic mountains on your Southern Delights tour and showcase the pristine nature surrounding you. 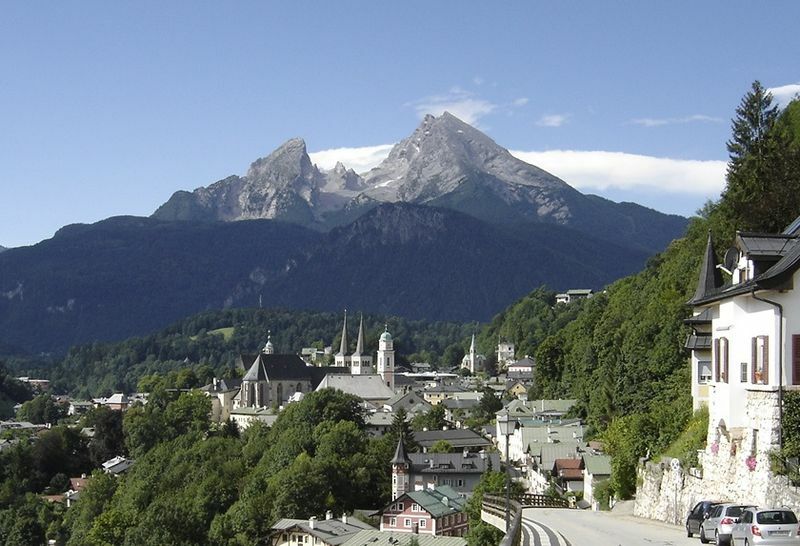 Looking at the picturesque city and stunning landscape surrounding Berchtesgaden one wouldn’t think that its initial success was based on mining salt deposits in the region. 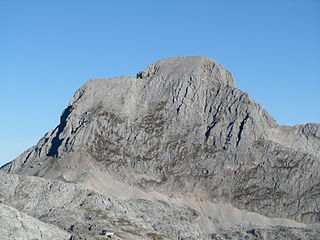 As early as 1102 AD the city is mentioned and proper mining operations started in 1517. 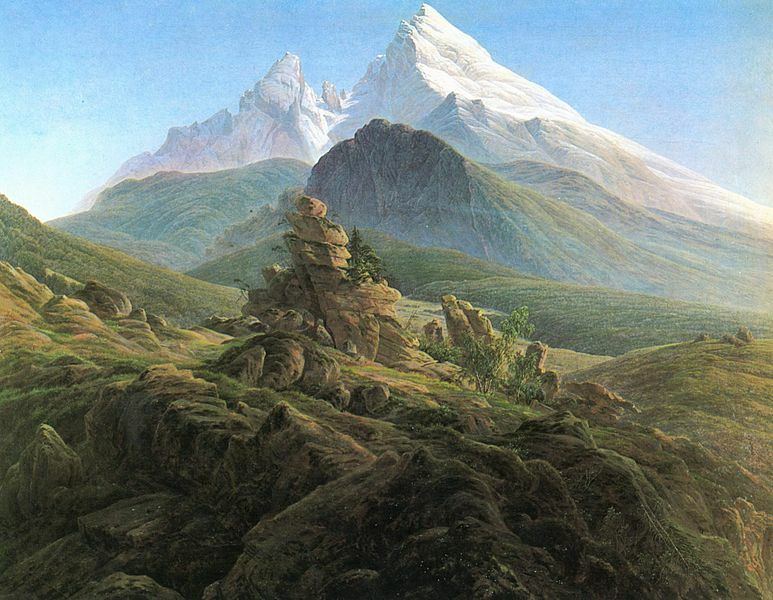 By the time it came under Bavarian rule in 1810, it had changed hands frequently. After that the royal family took an instant liking to it and established a royal hunting residence in the city itself, which in turn attracted other tourists and artists. 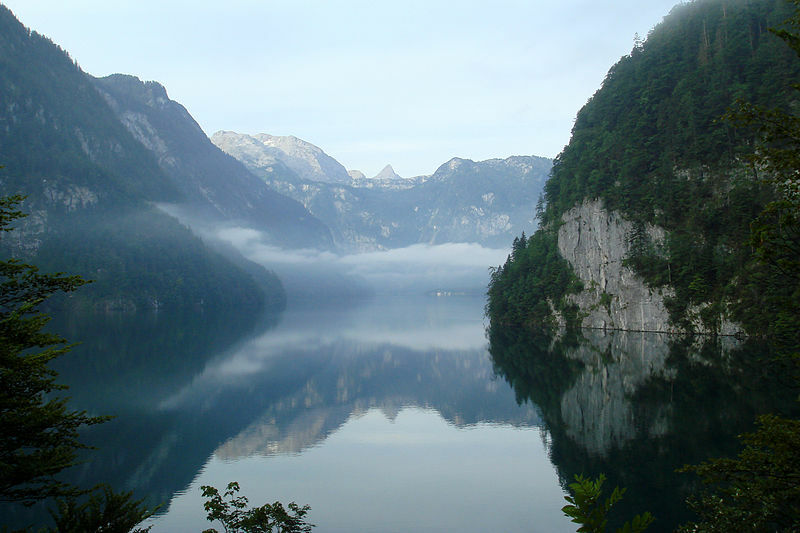 Nearby Königssee (‘royal lake’) with the sheer cliffs of the mountains reaching down to its shores and making it only accessible by boat, provided the dramatic backdrop to music, art and literature of the time. Berchtesgaden is the perfect destination for any kind of mountain based activity: skiing, hiking and climbing being the first that come to mind. 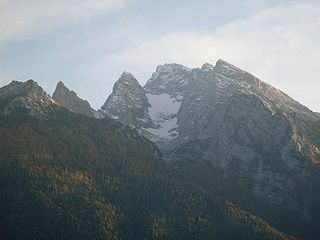 Two notable mountains dominate the landscape: the Watzmann and the Kehlstein with the infamous Kehlsteinhaus, ‘Eagle’s Nest’. 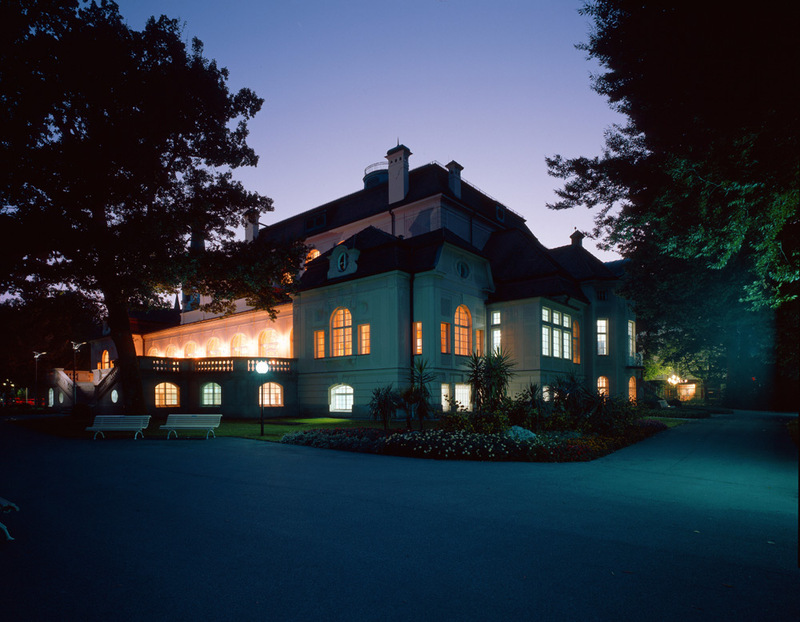 In the 21st century the region attained notoriety for the fact that the Nazis had bought a lot of properties to create recreational homes for the senior leaders of the party. Several of these buildings were built to not only accommodate the leaders on their holidays and entertain guests, but also be serviceable in war and other extreme situations. Thus you will find lots of bunkers, lifts and other ruins in the region. After the war some of these were buildings were requisitioned by the US Army, such as the Hotel Platterhof, which was renamed General Walker Hotel and maintained until 1995. Others were destroyed. 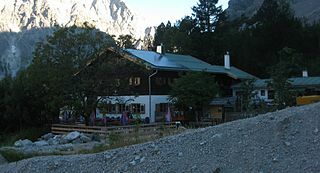 Today only a handful remain, used as restaurants or documentation centres, like the former guest house Hoher Goell for example. 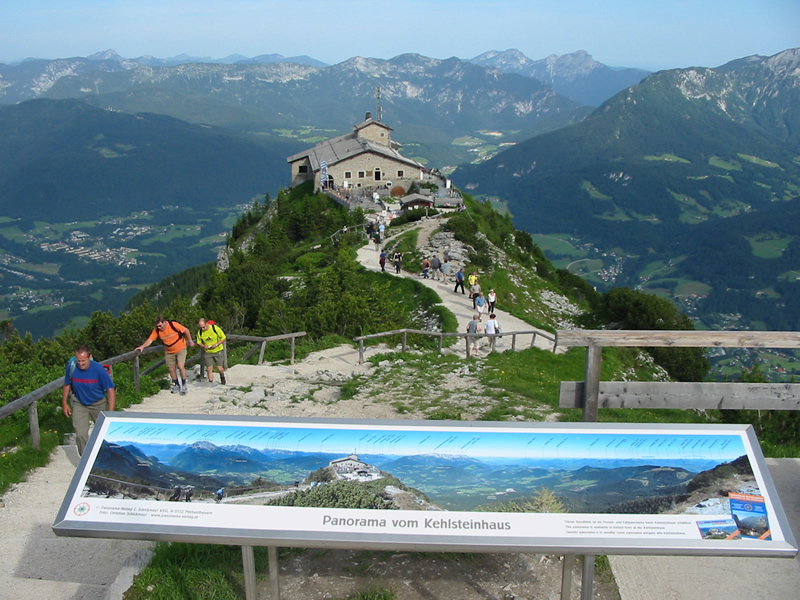 Nowadays Berchtesgaden manages its natural beauty through the establishment of the Berchtesgaden National Park and attracts tourists with its huge range of activities available in the region. Some of these you will be enjoying on your day trips during your Southern Delights tour. 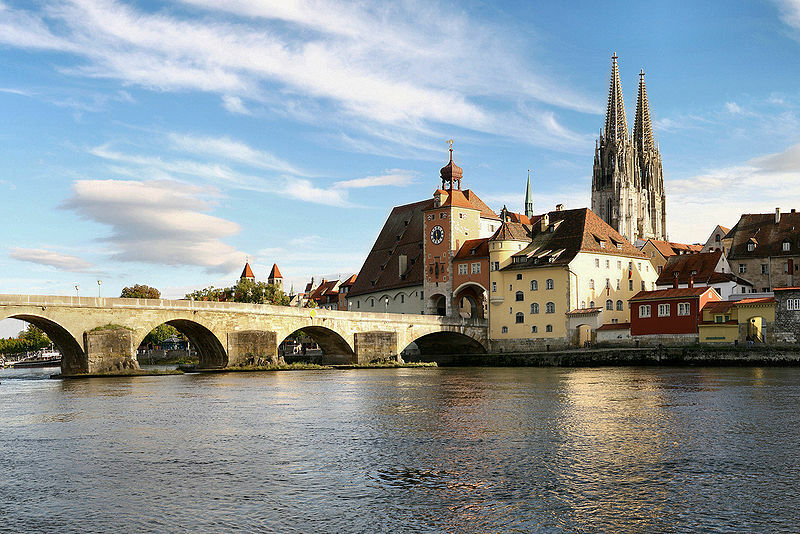 Regensburg has been a settled area since the Stone Age and Radasbona is the Celtic name given to the oldest settlement here. It is situated at the confluence of the rivers Donau (Danube) and Regen, which gives it its name. During Marcus Aurelius’ reign his legion Legio III Italica was stationed there and built the fort ‘Castra Regina’ in 171 AD. 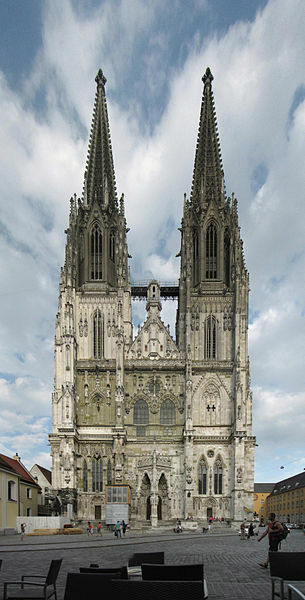 Up until the 16th century it was a Roman Catholic city, when it adopted the Protestant Reformation. This created an interesting situation: Roman Catholic citizens were being denied their civil rights, while the town itself remained the seat of a Roman Catholic bishop and several independent abbeys and monasteries. Add to that a moderately large Jewish community and you have a very vibrant, multi-faceted society that shaped the look and feel of the city and region. The large medieval city centre has been on the UNESCO World Heritage list since 2006 due to its unique and important part in the history of the region and the Holy Roman Empire. Part of its relevance was due to the construction of the Stone Bridge across the Danube, which opened up trading between the north of Germany and southern Europe. For several centuries it was the only bridge crossing the Danube and served as a model for other bridges, like London Bridge across the Thames and the Pont d’Avignon across the Rhone. Walking through the city you’d be hard pressed to say which one of the buildings or monuments is most astounding, but the Regensburg Dom (cathedral) would have to be one of them, as a superb example of pure German Gothic architecture. Your guided walk on your Southern Delights tour will show you the fine examples of stone masonry used throughout the city. Leibzig is not only renowned for being a trading town, but in modern times it’s a symbol for political change achieved through non-violent demonstration. In September 1989, after the weekly peace prayer at the Nikolai church, people went outside to demonstrate for the right to travel and to elect a democratic government, knowing they were supported and protected by the Lutheran Church. Informed by outside sources more and more people began to copy the Monday demonstrations throughout East Germany. Just within four weeks the popularity had spread throughout the country and no large-scale intervention by the state forces meant the numbers kept increasing every week. This ultimately led to the fall of the Berlin wall on the 9th of November 1989! The demonstrations continued throughout the political process of organizing elections for the Volkskammer, which then paved the way for the reunification of Germany. Due to the extreme success of these demonstrations they continue to be seen as an important decision and opinion making process and have been resurrected a couple of times in the 21st century to show protest against the Iraq war, social security changes and a controversial railway construction project. This development is nothing new in the history of Leibzig, as in the 19th century the city became a centre of German and Saxon liberal movements. In 1813 the largest battle in pre-WW Europe took place in the region, Battle of Leipzig, ending in a victory against France. 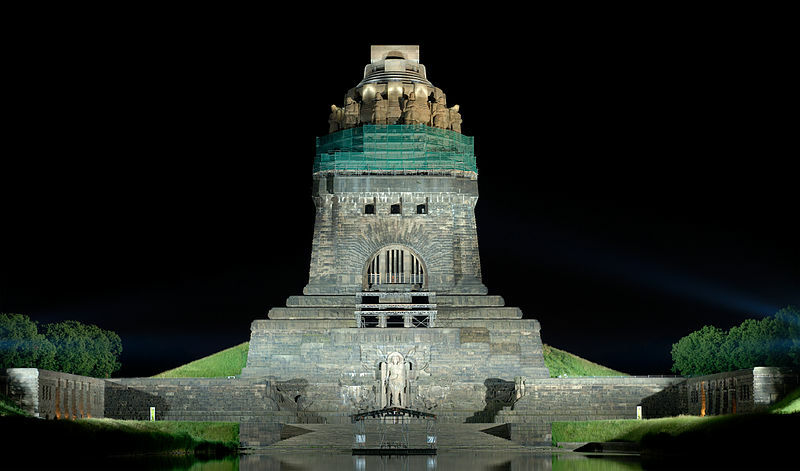 This was commemorated with the Monument to the Battle of Nations, which was finished 100 years after that battle. 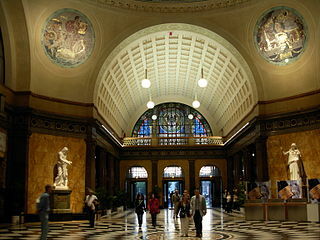 The guided walk in Leipzig will start your tour of Southern Delights and show you more interesting details of this remarkable city.